Colorado State University INTO Pathway Program offers the ultimate balance of fun recreational activity and research of the highest quality. 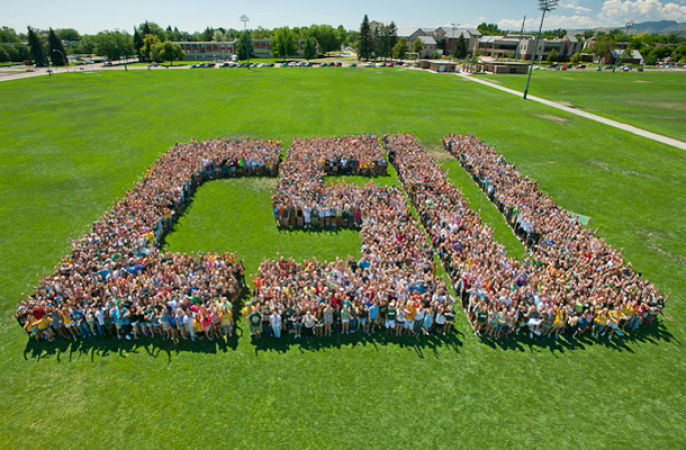 International students voted CSU as the #2 school in the US for overall satisfaction in their educational experience. Studying in Fort Collins means you’ll join more than 27,000 students on campus with state-of-the-art facilities and classrooms. No need to worry about getting lost in the crowd—over 80% of undergraduate courses have fewer than 50 students, so your professors will know who you are. Make sure you take advantage of the wide variety of student clubs. With more than 620 to choose from, you're sure to find a group of friends who share your interests. We’re so excited to welcome you here. 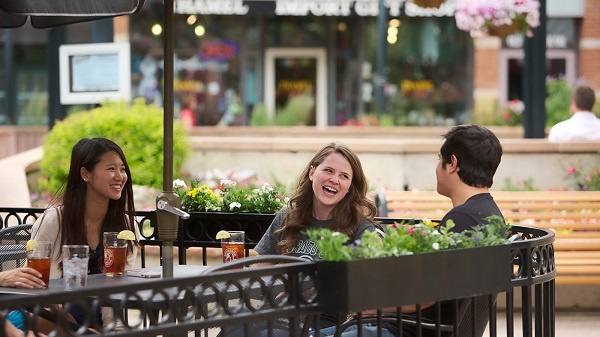 At CSU, you can choose from more than 70 bachelor’s degree programs, 125 concentrations and 80 minors. That means you’ll have the ability to reach your goals — no matter what they are. 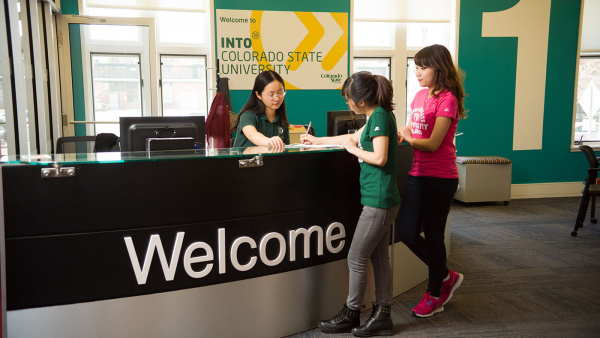 There are three ways to begin your undergraduate studies at CSU. If you meet the below academic and English language requirements for your program, you may apply directly to Colorado State University. A Pathway program provides academic, language and cultural support in order to succeed at a US university. Students are guaranteed progression to a graduate degree program after completion of a Pathway program. We provide full integration with domestic and international students on campus from highly trained university instructors and tutors while giving you academic support throughout your program. International Year One will prepare you to enter your next semester of a bachelor’s degree program at Colorado State University. TOEFL, GMAT and GRE test preparation are built into the Graduate Pathway program curriculum. You will receive up to 40 hours of test prep throughout the duration of the program. Our test preparation courses are taught by experienced instructors who focus on skills-based language development and test-taking skills which include the use of practice tests and individual feedback on performance. We also provide self-study materials, available in our learning center. As an International Year One student, you get the benefit of living in the residence halls in suite rooms and participating in the Global Village. You will live on campus for the length of your Pathway program. 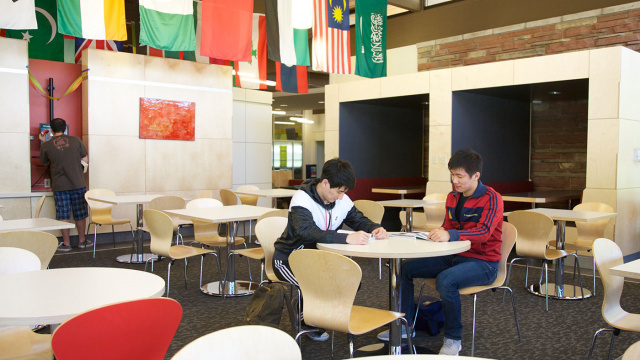 In the Global Village Learning Community you will have a CSU student as your Global Village Mentor to help you adjust to the US and be successful at the university. You will also have a Global Village Community Coordinator who is a live-in student staff member who creates social and cultural programs.